Portable Fabric Shaver and Lint Remover $8.92! Head on over to Amazon where you can grab this Beautural Portable Fabric Shaver and Lint Remover for ONLY $12.74 (was $29.99). PLUS, use the code CZQAMTMZ at checkout and score this for only $8.92!!! HURRY though, I’m sure the price won’t last very long. Revive Your Garments – Easily remove fabric fluff, lint and bobbles from all types of garments and fabrics, including sweaters, jerseys, blankets, bed sheets, upholstery and much more. Quick and Efficient – The expanded blade surface covers a larger area, finishing the job quickly with less effort. Highly Adjustable – 3 shave heights, 2 speeds and 3 shaving head hole sizes for suiting all different types of fabric and bobble sizes. Dual Protection – The adjustable height spacer protects both garments from being cut or snagged and also hands from accidentally touching the shaver foil. 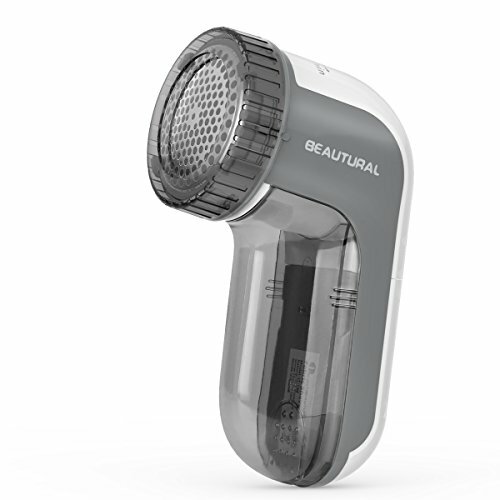 What You Receive – Beautural Lint Shaver, cleaning brush, protective cap, instruction manual, 30-day full refund, and 12-month warranty with friendly customer service. Check out MORE HOT Amazon Deals here! Keep in mind, Amazon prices can change at ANY TIME. FREE SHIPPING with Amazon Prime! Not a Prime member? Try Amazon Prime 30-Day Free Trial ! Also, keep up with the HOTTEST DEALS as they are released by joining our SEASONAL SAVERS group! !